- We are a manufacturing, exporting and importing eccentric shafts for serving varied industrial applications. - These are manufactured by experts using high grade steel. 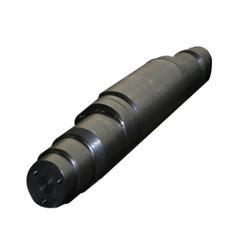 - These shafts are used in different applications of processing. - These are offered in different range and specifications. We have been able to gain the trust and faith of our customers by presenting a superior quality collection of Eccentric Shafts. Eccentricity of shaft is between 15-16mm. 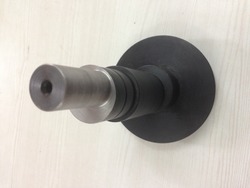 We have manufactured and supply more than 100 shaft. With 24 years of experience, Qualten Engineering has earned reputation of manufacturing one of the best quality shafts in the industry. Our shafts are manufactured in house by our highly skilled workforce with more than 20 years of experince, following highest industry standards. A shaft is a mechanical component for transmitting torque and rotation, usually used to connect other components of a drive train that cannot be connected directly because of distance or the need to allow for relative movement between them.